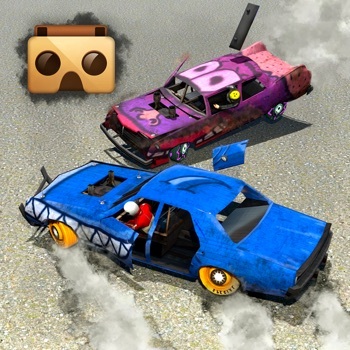 Multiplayer Demolition Derby goes Virtual Reality (VR). Insane VR Crash Racing! Do you like VR games and apps; or are you just a racing fanatic who just got a VR headset? This is a must download VR Racing game. Best of all its totally free, enjoy!